Virginia governor Ralph Northam is still resisting calls to resign over a racist yearbook photo from 1984. 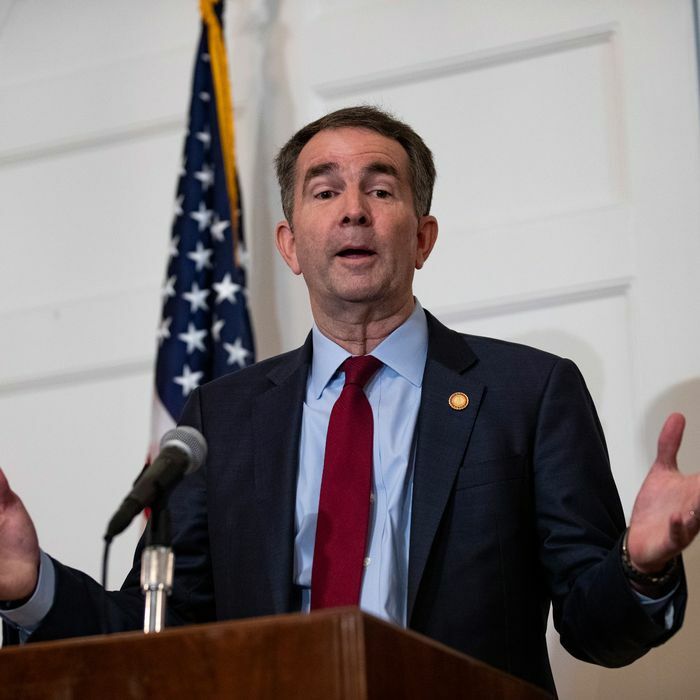 Dozens of major Democratic Party figures, including the state’s two U.S. senators, have called for Northam to step down following the revelation that his medical-school yearbook page included a picture of a man in blackface next to a man in a KKK hood. After first apologizing, Northam now says that he is not either of the men in the photo. Big League Politics, the conservative news outlet that first posted photos of Gov. Ralph Northam’s Eastern Virginia Medical School yearbook on Friday, wrote a story Sunday night based on a tip regarding a woman named Vanessa Tyson, a fellow at Stanford University. She claims a man sexually assaulted her at the 2004 Democratic National Convention in Boston. The claims against Fairfax have some looking into the details of Virginia succession. Should Northam resign and Fairfax not replace him, the state’s attorney general, Democrat Mark Herring, would be next in line. Among those joining the chorus calling for Northam’s resignation is Virginia House Speaker Kirk Cox, a Republican. “It’s become clearer to us … regardless of the veracity of the photograph, the governor has lost the confidence of the people and cannot effectively govern,” he said Monday. But he stopped short of threatening to remove the governor from office. Protestors outside the Virginia governor’s mansion appear to agree with Cox. The news continued to worsen for Northam Monday, as the College of William & Mary rescinded an invitation to the inauguration of its president. “That behavior has no place in civil society — not 35 years ago, not today,” President Katherine Rowe said in a statement. “It stands in stark opposition to William & Mary’s core values of equity and inclusion.” The decision by Williams & Mary follows a call for Northam to resign from University of Virginia president Jim Ryan.